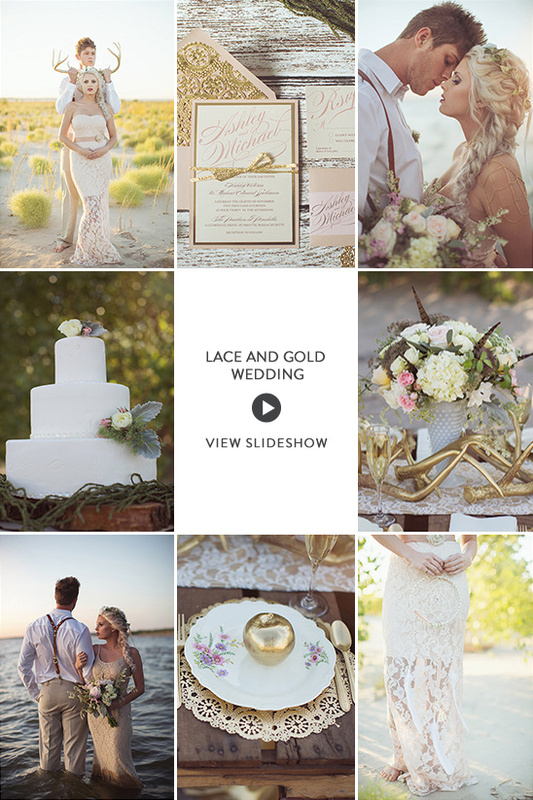 Who knew that a drained lake would create such a dreamy venue for a lace and gold beach wedding? Boho chic details fit beautifully with the scenery for an almost ethereal feeling. 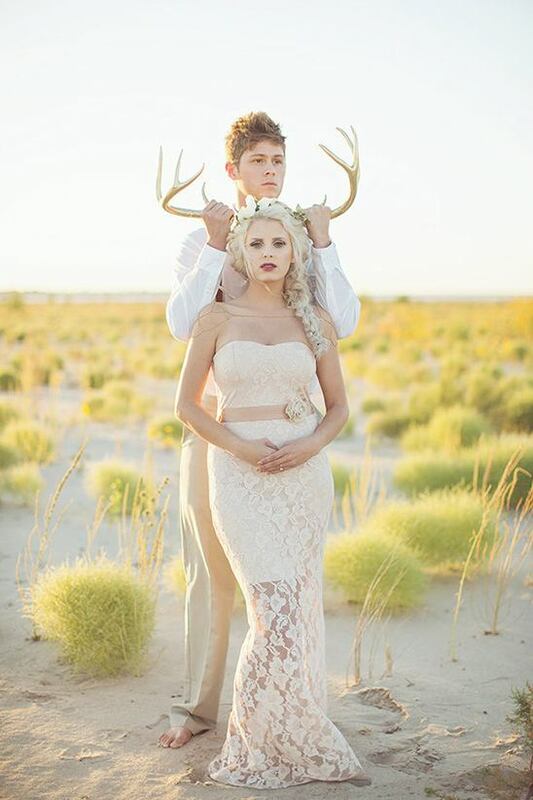 We get the feeling you'll love this inspirational shoot as much as we do! Don't take our word for it though, see for yourself in the full slideshow here, captured to perfection by Hope Photography.